Rugby union is like chess and rugby league is like checkers. 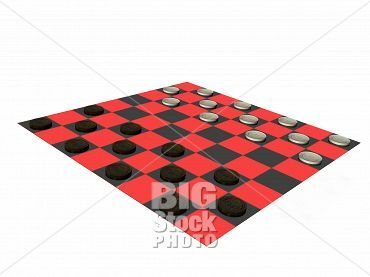 Checkers is a game where the checker piece does the same thing. Rugby league is a game where all the players do the same thing, they take the ball up, on the tackle they put the ball thru there legs and start again. Rugby league scrums are golden oldie scrums so that doesn’t count, there are no lineouts or mauls. Sure, running the ball up has a different degree on demand between the forward and backs but not much. To disallow one team having all the possession there is a six tackle count, as the game does not allow more contests to see possession changes hands. The rugby league player, if lined up in a police lineout would all look the same physical design. Chess is a game where the chess piece does very different things. The array of very different abilities of each chess piece allows the chess player to be very creative when it comes down to playing tactics. Chess has more structure than checkers, I submit that union has more structure than league, and it should remain so. Rugby union can be broken down into combinations: Front row, back row, loose forwards, back of scrum, centre field, back three. These combinations perform as units within the structured game of rugby, performing specialised roles, with specific skills and body shape. Fracturing the demand for a player with these specialised skills is a move away from the structured (chess) game and a move towards a more generic player (checkers). The generic player will be selected on his ability to multi task rather than perform a specialised role (ie15 loose forwards). Please note that rugby has been able to live within a fine balance of structured (scrums, malls, kick offs, 22 drop outs, full lineouts) and non structured play (phase play, quick taps, quick lineouts). The operative word is ‘balance’, and all rule changes should be measured on how they keep this very fine balance (see my comments on ELVs) . Balance is critical, as it allows a fair chance for the rugby player (prop, half back, 2nd 5/8, etc) specialised skill to be exercised within the games many contests (Front row contests, mid field contests, tall timber lineout contests, speedster wing contests, back of the scrum contests). Non structured play reduces the fair chance of these type of contests occurring within a game as the player one on one contest is random and not structured. 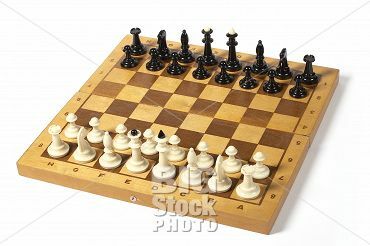 Just as chess is divided between non structured pieces (the pawn) and other more structured chess pieces (Queen, King, Rook, Castle, Bishop), so in a way is rugby union by way of the nature of mix between structured and non structured play. If rugby administrators break the rule ‘rugby is like chess’, they will have a hybrid game that is some where between checkers (union) and chess (league). A hybrid game will see rugby lose its hard won identity and the marketing boys will tell you that to have a good brand your need a distinctive point of difference from the competition. The honest intention to attract TV revenues from the temporary fan (those that watch rugby league, Australian rules, American football, and soccer) is commendable, but not at the expense of the ‘true rugby fan’. Rule changes and playing times suitable for TV viewing are not always in the best interest of the rugby fan, administrators must protect the base that got the game to from 1901 to 2008. Note: Sorry rugby league fans if you don’t see it my way. The above philosophy is my light house when I discuss all matters playing the game, and it supports this blog title : Forwards should be forwards, and backs should be backs. A game for fatties, skinnies, tall and short players! Any thing else is not the rugby game that I fell for when I was a young fella watching the All Blacks win and lose. If I my views are in the minority, then I will be another number in the statistic titled: “Declining attendance”. This quote highlights that rugby union greatest sin is to be boring and indifferent. What do you think about the ‘iinitiation rule’? this is exactly the post I needed to see!